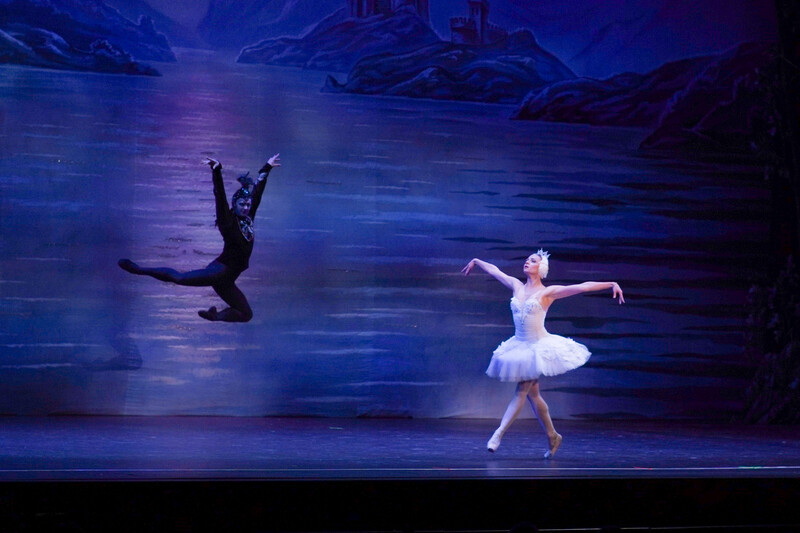 Last night at the Kings Theatre on Flatbush Avenue, the royalty of Swan Lake took the stage in a gracefully high-octane production of the classic Tchaikovsky ballet by the National Ballet Theatre of Odessa. Making their first trip to the United States, as part of a 50-plus-city North American tour this year, the storied company is comprised of 55 world-class dancers from Ukraine. 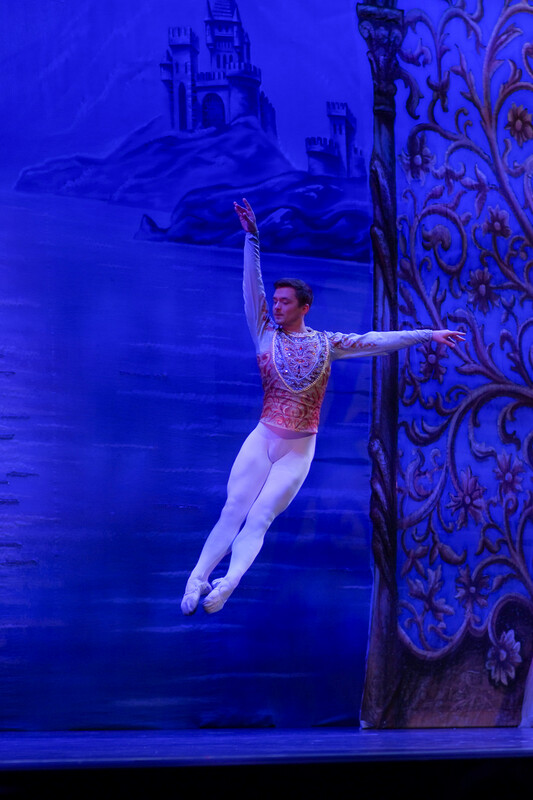 Though each of their respective, impressive talents were on full display—from the statuesque physicality of Sergey Dotsenko, who portrayed Prince Siegfried, to the Tasmanian Devil-like, spinning Jester, played by Pavlo Gryts—all of the performers seemed to wittingly bow to the company’s prima ballerina, Elena Dobryanskaya. An accomplished dancer who regularly takes on leading roles, from Masha in The Nutcracker to Princess Aurora in Sleeping Beauty, Dobryanskaya dazzled in Swan Lake, agilely manifesting both the weighty wishes of the cursed Swan Princess Odette and the deviant, spellbound motivations of Odile, the Black Swan under the control of a sorcerer. With flawless lines and bone-density-defying displays of pointe, Dobyanskaya did not so much perform in Swan Lake as she offered a mind-blowing ballerina clinic. By the time she reappeared as the Black Swan in Act II, it was clear the now sinisterly grinning Dobyanskaya was just showing off—though nobody in the crowd or onstage desired any alternative. With the Kings Theatre, in all its decorative grandeur, supplying the perfect setting for such a beloved piece that’s more than a century old, the production began pleasantly at Prince Siegfried’s birthday party, with the corps de ballet executing plenty of allegro choreography to set a tone of merriment—if the series of toasts didn’t do enough. The players were suited in costumes of a pleasing pastel palette. A haunting backdrop of a rocky, waterlogged land anchored the set, while the string- and woodwind-heavy score oscillated between various states of stirring and electrifying. When Gryts’s Jester took center stage he literally heightened the festivities, repeatedly leaping so high I thought it prudent the Brooklyn Nets offer him a contract before he could leave town. Principal Dancers and twin sisters Olga and Aleksandra Vorobyeva took turns courting Siegfried in virtuoso solos sporting the widest smiles now on this side of the Atlantic. Then, it was time to meet Odette. Traveling deep into the forest—the transforming set now framed by five layers of painted trees and vines—Prince Siegfried encounters the lake populated by a parade swans, purveyed over by the white-clad, doe-eyed Swan Princess, devastatingly hopeful to break out of the sorcerer’s curse that has relegated her, in swan form, to the lake. The leading-lady good looks and alluring movements, even with pangs of reluctance, were too much for Prince Siegfried to endure. In no time at all, with Odette’s swan constituency looking away so as to give the new lovers a twinge of privacy, the Prince and Princess became intertwined in arresting adagio. As Act II commenced, and evil became afoot, the audience was treated to more hard-colored costumes of red and black, fog and lighting, as well as thunder supplied via imitation by the score. Two small mishaps—a blink-and-you-missed-it tumble by one of the corps and a wardrobe malfunction that saw the Black Swan’s feathered crown come apart—did nothing to ruin the fun or the intrigue inspired by the Jester’s flurry of furious fouettés, in one display, and Dobyanskaya’s turn into the dark side. By the time Prince Siegfried defeated the evil sorcerer, breaking the spell on Odette and preserving their love, the audience was quite ready to regale the performers with a standing ovation—which they did only upon absolute certainty the performance was over. 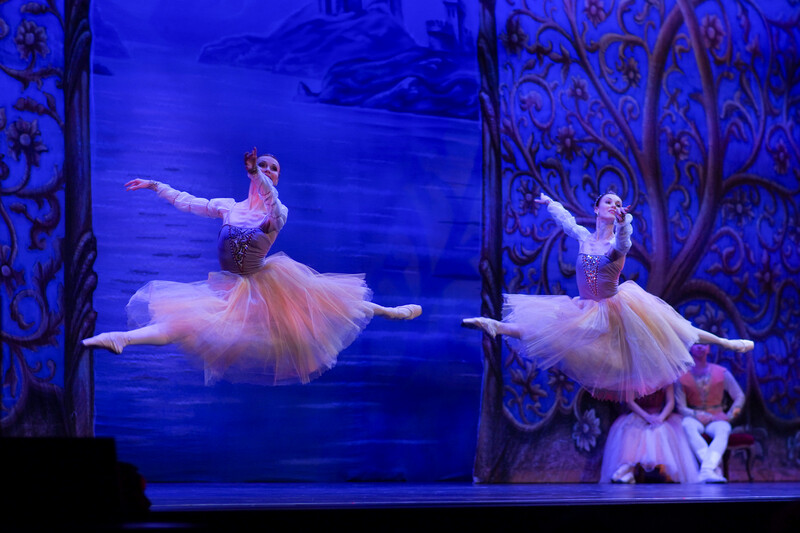 This National Ballet Theatre of Odessa production of Swan Lake is as moving as it is exhilarating—and with number after number nimbly playing out, rapid-fire style, there’s plenty to be exhilarated by. This post was sponsored by National Ballet Theatre of Odessa. If you would like to reach our readers, please contact us. Michael Stahl is a freelance journalist, writer, and editor based in New York City. His work has appeared in Rolling Stone, Vulture, Vice, Village Voice, CityLab, Quartz, and Narratively, where he also serves as a features editor. He also reports on Brooklyn business news for The Bridge.